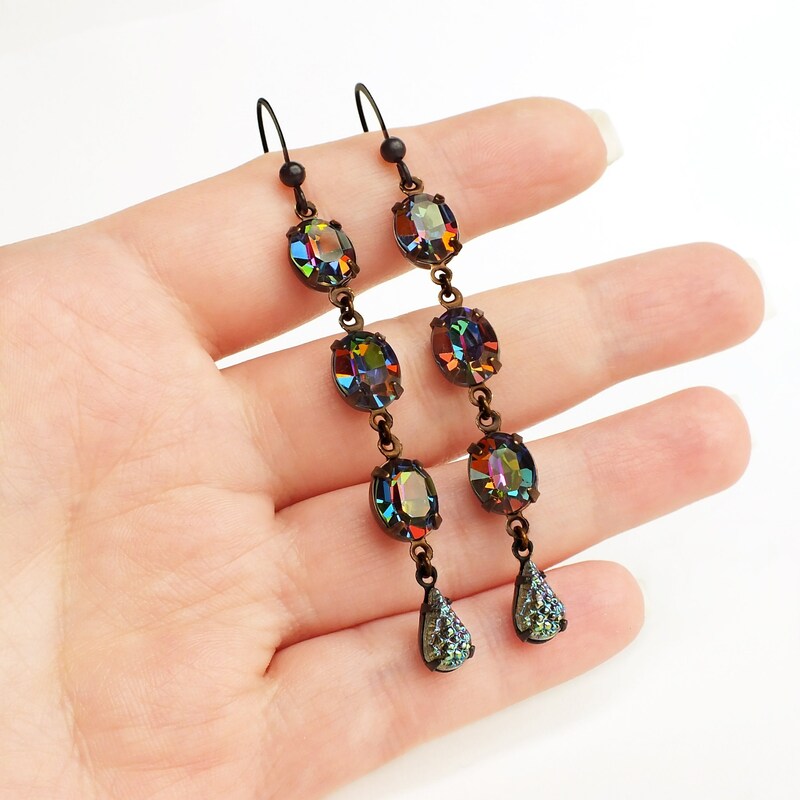 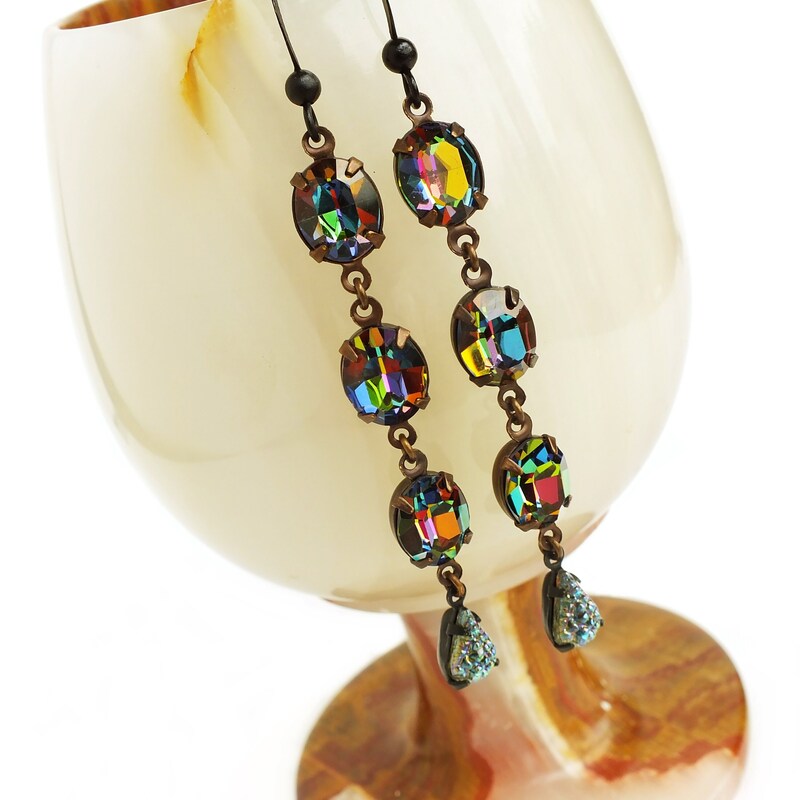 Handmade iridescent crystal earrings with vintage Vitrail rainbow glass rhinestones. 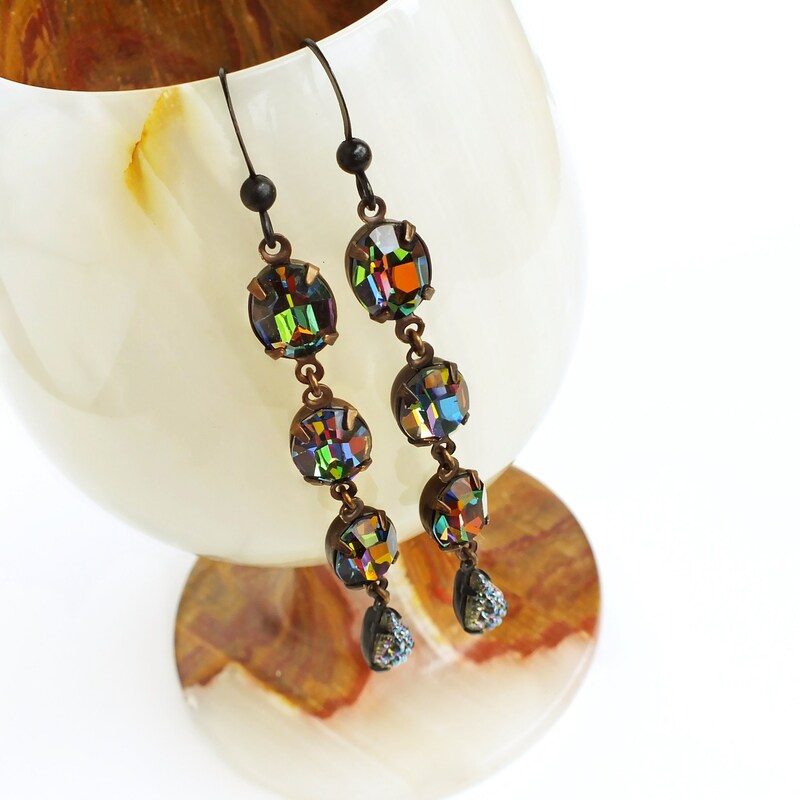 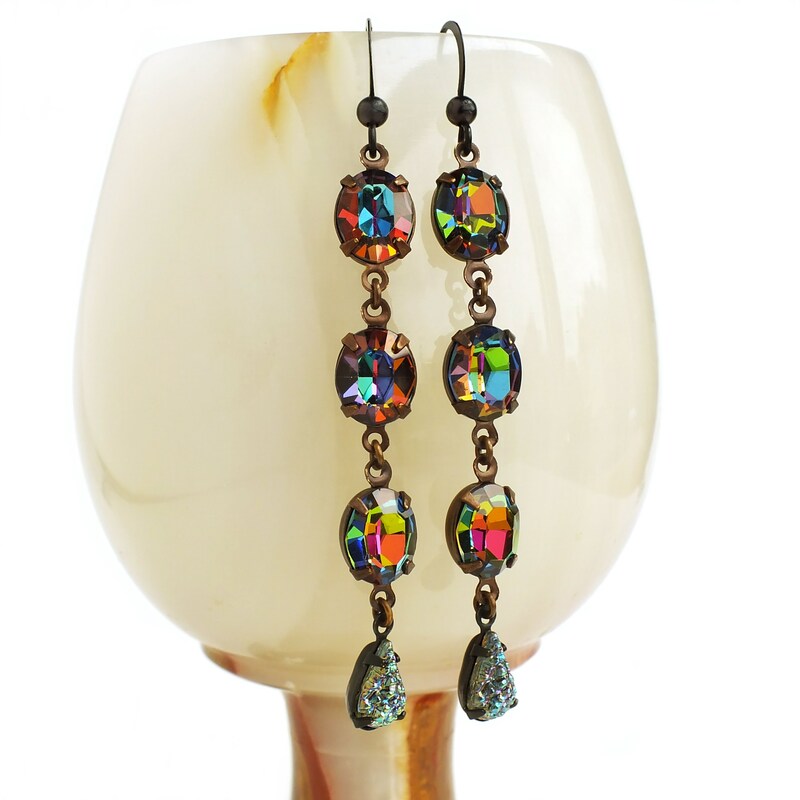 Made with spectacular genuine vintage iridescent 'Vitrail' crystals sparkling with all the colors of the rainbow. 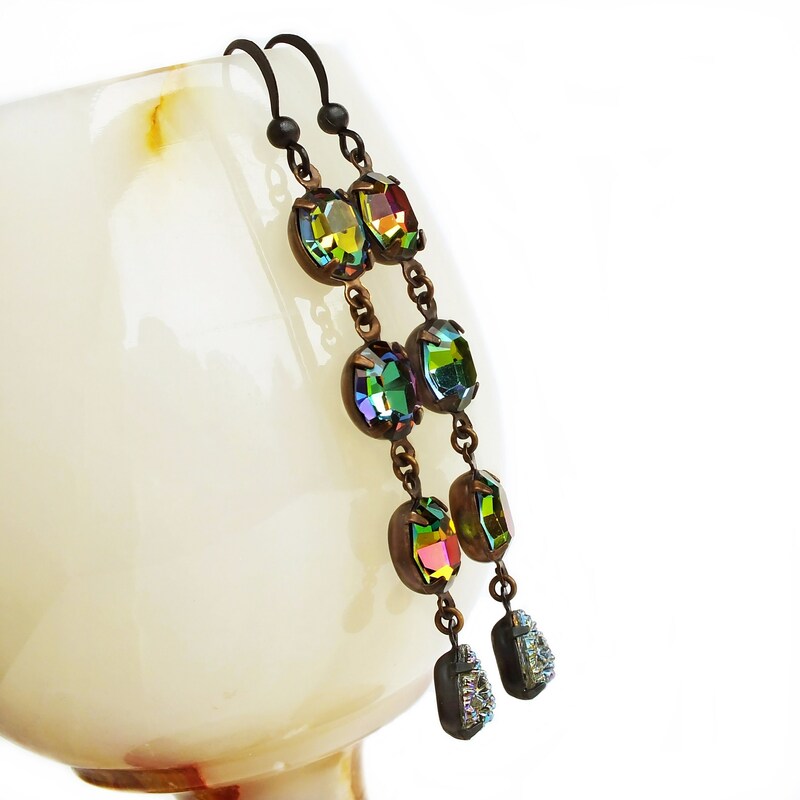 I set them in antiqued brass pronged frames adorned with rare vintage iridescent grey 'sugar stone' rhinestone drops.